Peace – "And another thing…"
Merry Christmas Everyone – Whatever that Means! I’ve been thinking a lot lately about the true meaning of Christmas. I’m not going to claim that I hate the secular aspects of Christmas, because that would just be an outright lie. I don’t like just how commercial it has become, but I definitely can’t claim to hate all of the secular traditions. However, I do dislike how the true meaning of Christmas often gets entirely overlooked. But to just remind people that it’s really about the birth of Jesus Christ seems somewhat pointless. While often overlooked, this fact is not exactly unknown. I don’t think I’ve ever met anyone who didn’t know what the real meaning of Christmas actually is. Or, to put it another way, just what was this Jesus dude all about? That question can be answered in any number of ways, but I think its fitting to look at it from the perspective of the Advent season. 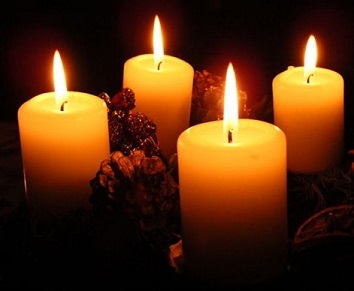 During Advent, a candle is lit on each of the four Sundays prior to Christmas Day. Each has a particular theme: hope, joy, peace and love. These word, these concepts, are actually very useful in helping us understand what Christ stood for, and what he advocated. This passage helps us understand that Christ wants us to turn our concerns and troubles, whatever our burdens might be, over to him. And knowing that is defiantly a good reason to have hope. I love this because it directly answers the greatest question of all: “what is the meaning of life?” – that makes it an extremely profound verse, all the more so because of how simple it is. We are born, and we live, to have joy. That’s it. That is why Christ, who is God, created us in the first place. That is what he wants for each of us. And if we follow his examples, putting others before ourselves, helping each other, we tend to find a deeper meaning to our purpose, and in doing so, things tend to happen that result in joy being more abundant. Its when we become too self-focused, too materialistic, and take others for granted, that we undermine our own potential to experience joy. 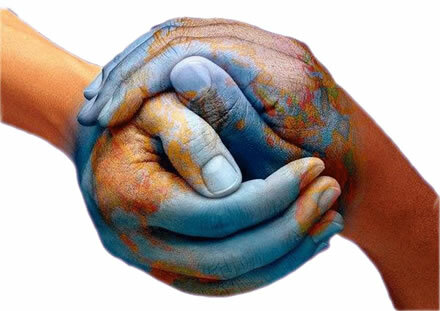 Not just global peace, but individual peace. A lot of Christians talk about converting people to Christ. That’s fine. I don’t have a problem with that. But for a while, I’ve been thinking that what we should also be striving to convert people to peace, and to the things that Christ sought to convert people to, such as compassion and charity. Everybody needs some form of tranquility, and we each have the potential to be generous and caring. What would the world be like if we focused some of our time on helping people find what they may be missing, helping them to find peace, and to be more generous and compassionate? Love is perhaps Christ’s greatest cause. And love is the basis for all of the above: hope, joy, peace, and also compassion & charity. Love is the foundation for building and sustaining holistic communities; and its also the means to establishing and nurturing sincere relationships with one another – whatever those relationships might be. The more free we are with our love, the more likely we are to see everything else that Christ advocated explode! But our capacity to love people is often undermined by various circumstances, including our own fears. So, how can we grow our capacity to love people, and express our love in ways that will have a positive impact on each other and people we don’t even know? It has to begin by allowing ourselves to be loved. Allow yourself to be loved, and your own capacity to love others will increase. Do not be afraid to be loved. Do not be afraid to love others. And as we become more comfortable being loved and loving others, everything else will be magnified…our joy, our peace, our hope, his joy, her peace, your hope, etc. ; and in turn, these fuel love, and it just goes on and on. This is what Christ was, and is, all about. And therefore, this is the deeper meaning behind Christmas. So, my hope for everyone I know, and everyone you know, is that during this Christmas season, and beyond, you will never lose hope, that you’ll always find ways of having joy, that you’ll ensure that from time to time that you’ll enjoy some peaceful moments, and that you’ll love life, yourself, and everyone else; that you’ll allow yourself to be loved and in turn love others.